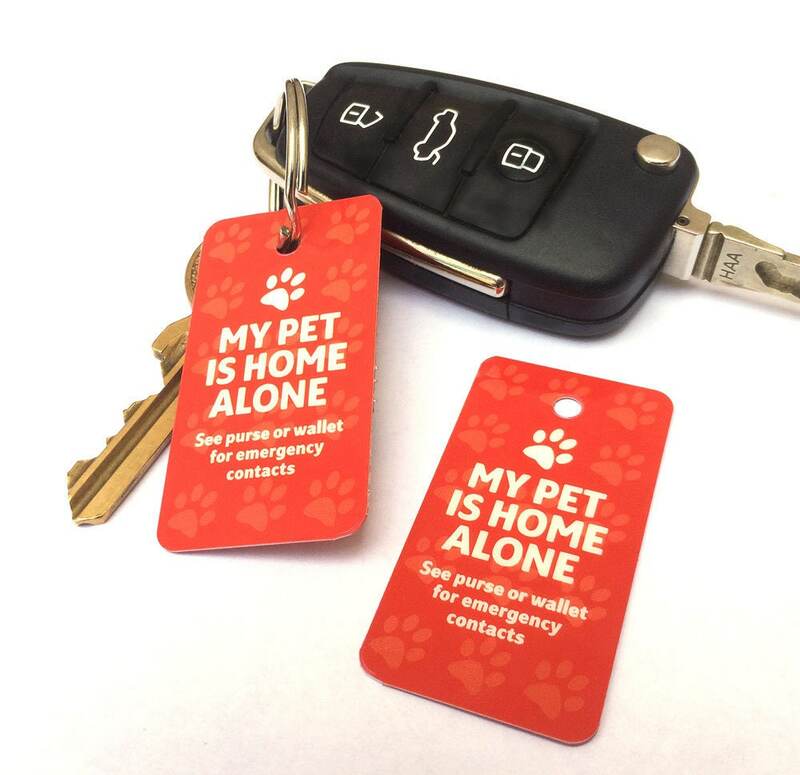 Every pet owner should carry Shake Paws’ compact and lightweight Home Alone Pet Safety keyring, the perfect companion to our Home Alone Pet Safety Card. Things happen in life that we have no control over. The Pet Safety Key Ring in combination with the Pet Safety Card will give you the peace of mind that someone will be there to care for your pet(s) should the unexpected befall you. Each unit contains two key fobs (does not include split rings). My husband and I were going through escrow in an area that ended up having mandatory evacuations during the fires in California last year and the year before we were living in an area that was also so close to fires that our apartment was covered in ash for months. I’m scared of being in any number of positions to not be able to help or access my senior cat (or my husband’s cat) in a plethora of possible emergencies. Something like this is just a small thing to carry to add to my arsenal of things to give me a little piece of mind. There’s 2 included, so we each carry one, and it’s sturdy enough plastic that I expect it to last awhile. I mean, why WOULDN’T I use something like this?? High quality and I think Every pet owner should have one! I bought a few more as gifts. Came quickly. A favorite store!